Receive the keys to a vehicle that is bound to turn heads, by purchasing one of our new Honda Civic cars here at Motorparks. What is there not to love about the Honda Civic? Sculpted headlights and a classy rear spoiler ensures this family hatchback stands out no matter which road you are driving along. The treats keep on coming when you step inside the new Honda Civic, thanks to Honda’s unique ‘Magic Seats’ being easy to lift up or fold over so that you can create lots of interior space with ease. Check out our full collection of new Honda Civic cars below and make an enquiry about any that catch your eye online without delay. 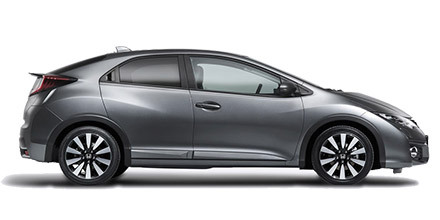 Have you had the opportunity to browse through the rest of our new Honda Civic range too? There’s everything from the stylish new Honda Civic Hatchback to the spacious new Honda Civic Tourer and the bold new Honda Civic Type R just waiting to be discovered. Our sublime selection of used Honda Civic cars shouldn’t be missed either, as there are some excellent deals available for you today.